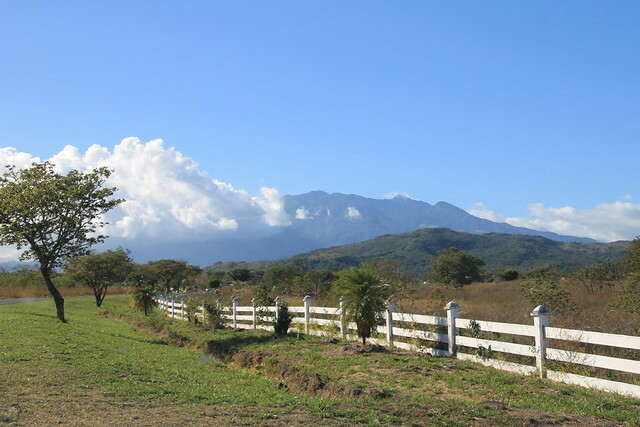 Note: This is part two of our mountain adventure, continued from the March 25th Mount Totumas post. 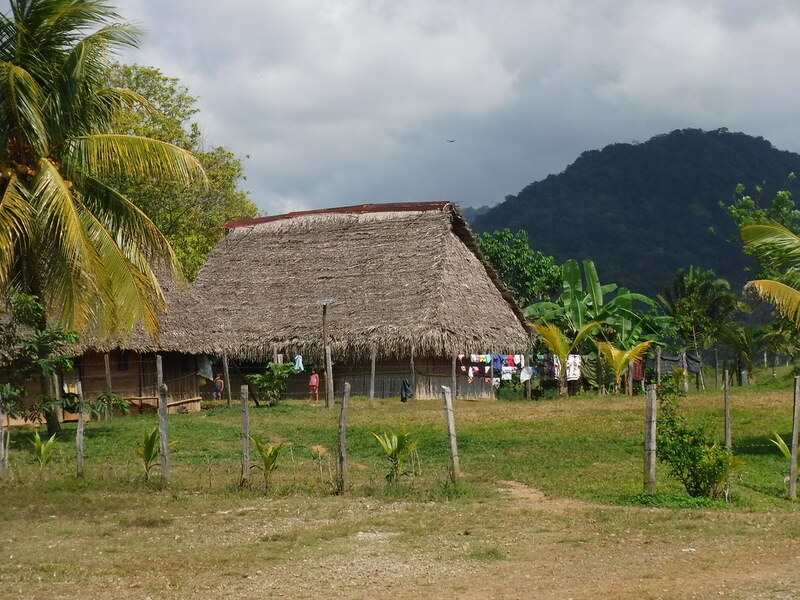 Our small caravan arrived at our Boquete residence, dumped us and our luggage on the front porch, and sped off. The house was large, and divided into four units. Ours was the biggest, with three bedrooms. We all picked rooms, and plopped our stuff in them. Then we turned our attention to a more-pressing matter: food. We called a taxi, and went into town. We walked around for a while, searching for a restaurant. We eventually found a sandwich place, Señor Gyros, where we ate lunch. Afterward, we went to the store to buy meals for the week, and, toting our loot, made the 2-kilometer walk home, where we had family movie night. The next day, the first order of business was to do laundry. After all the hiking up at Totumas, we were running out of clothes. Mom also took a taxi into town to pick up a rental car from Cowboy Dave. 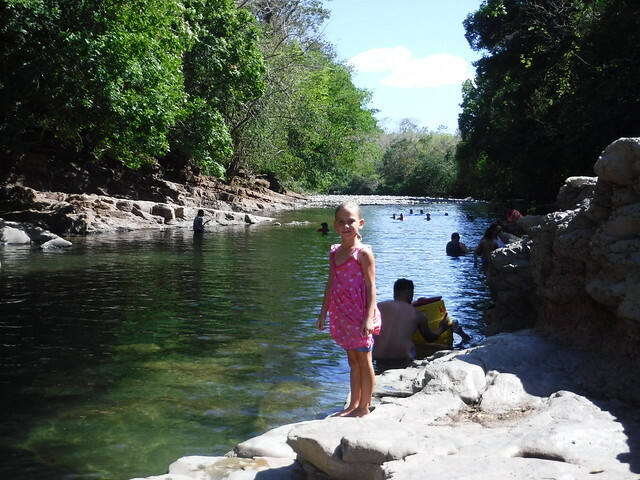 Dave, one of many U.S. ex-pats living in Boquete, recommended that we check out Los Cangilones de Gualaca. (Yeah, I couldn’t pronounce that on my first try, either.) It was a section of a river that had carved a canyon through a low hill, about 45 minutes away. 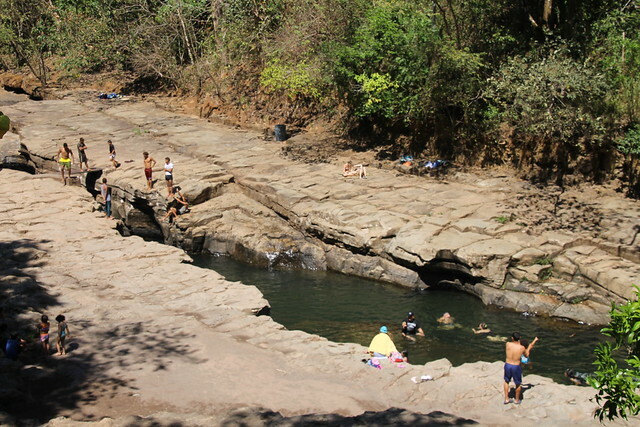 It was apparently a favorite swimming hole for locals, rather than the ordinary tourist attraction. Mom ran it by us, and it sounded interesting. 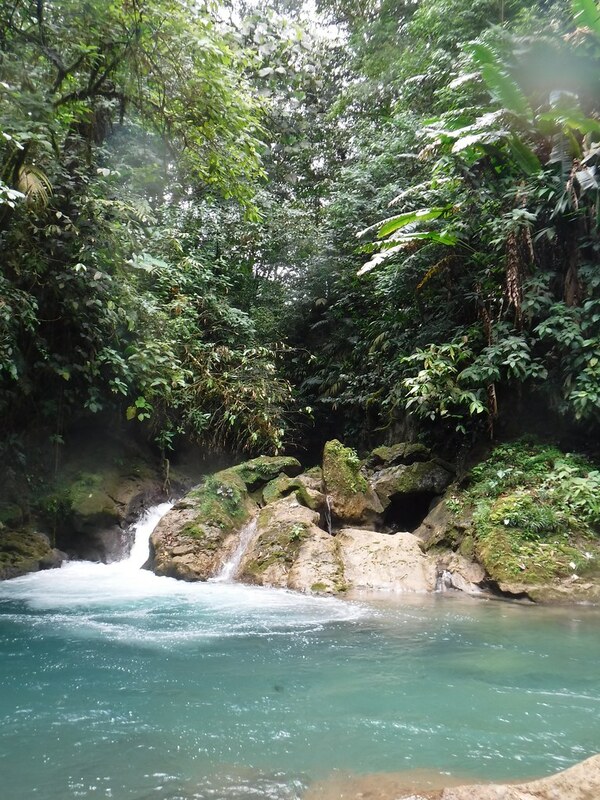 We would have to swim in our clothes, and bring some dry ones to change into, having neglected to take our swimsuits along on the trip (not many beaches in Boquete). After lunch, we loaded up in the car, and drove straight there without delay. At least, that’s what should have happened, had mom brought a map or phone along, instead of studying an internet picture back at the house. We became lost, and had to ask for directions from passing motorists. 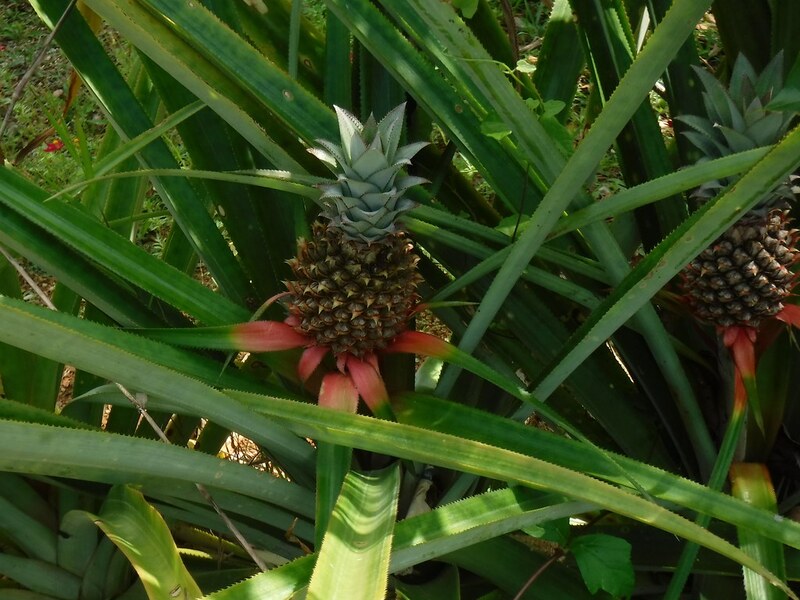 We eventually found it, at the end of a side road just outside the center of a small town. We parked the car, grabbed our stuff, and got out. The river was just as cool as it had looked on the internet pictures, even with the all the people. The gorge was about ten feet wide, and rose above the water just as high. It was only about 200 feet long, and broadened and shallowed out at either end. 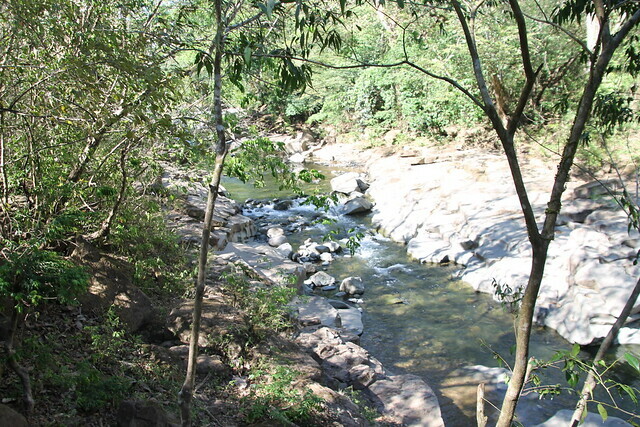 The river was moving very slowly, but I imagine it would be quite something to see in the rainy season. Swimming about in the broad area downstream were a number of families, while hanging around the gorge were several local teenage boys. 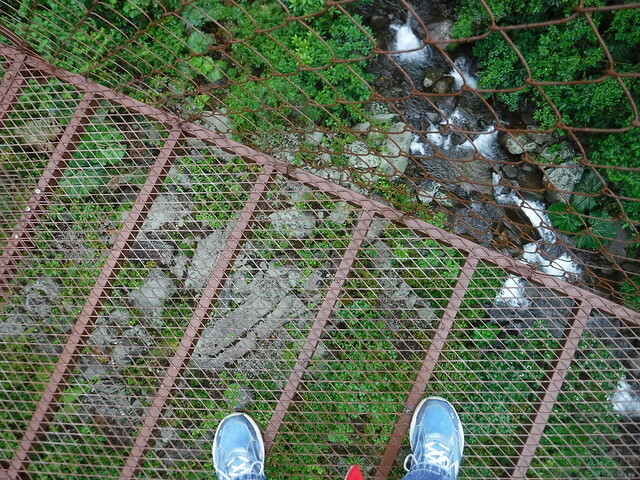 I went up to the edge of the gorge, and looked down. The water was slow-moving, and darkish green. I shrugged, and jumped in. Ironically, I wasn’t all that worried that it would be shallow, so much as I was worried that it would be cold. 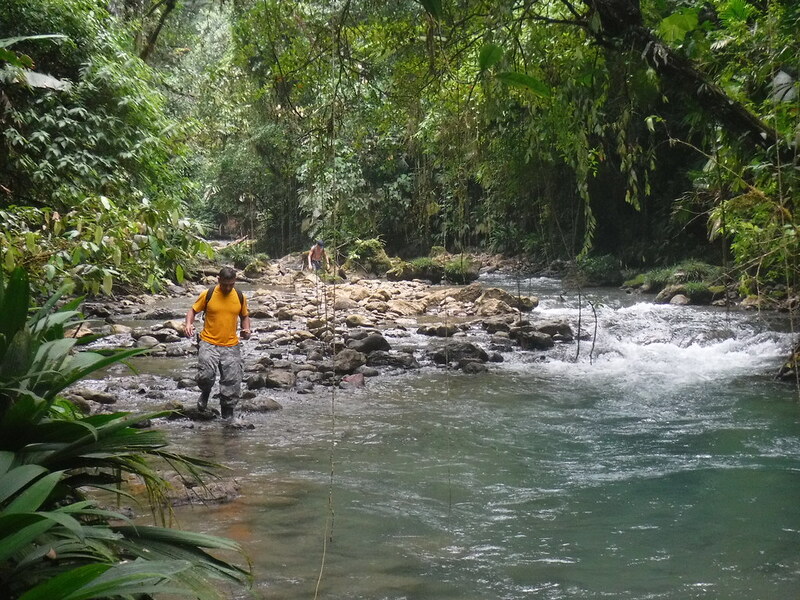 Happily, it was quite deep, and not nearly as frigid as one comes to expect from mountain rivers. Once they saw that I had failed to freeze to death or break my legs, the other kids soon followed my lead. 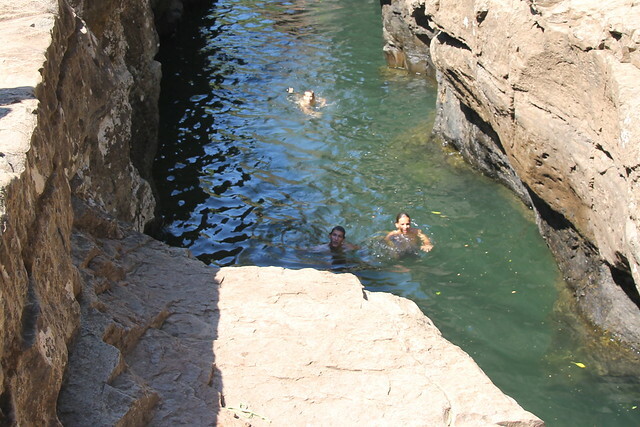 It was quite nice, swimming in the shade of the gorge walls, after I got over the initial creep-factor. Of course, swimming wasn’t the reason we were there, it was jumping. We swam out of the gorge into the sunlight, and scrambled out onto the rocks. 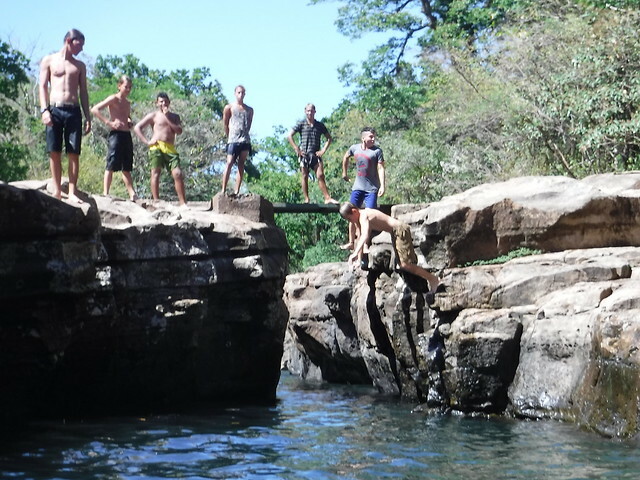 The wall was only ten feet off the water, about the same as the high dive on our boat. That meant that all the favorite jumps could be performed without having to compensate for altitude change, and the minor psychological barrier of cracking your head on a rock. Knowing this, I confidently went to an overhang, where there was less risk of hitting the edge, and back-flipped into the river. This immediately got the attention of the local teenage boys. Suddenly, their nice afternoon hangout was shattered by some gringo kid jumping into their river, and they weren’t about to be outdone. What followed was a sort of jumping competition, with each boy, Aaron and Sam included, trying to outdo the others. I am pleased to say that I held my own, only surpassed when one guy pulled off a gainer. 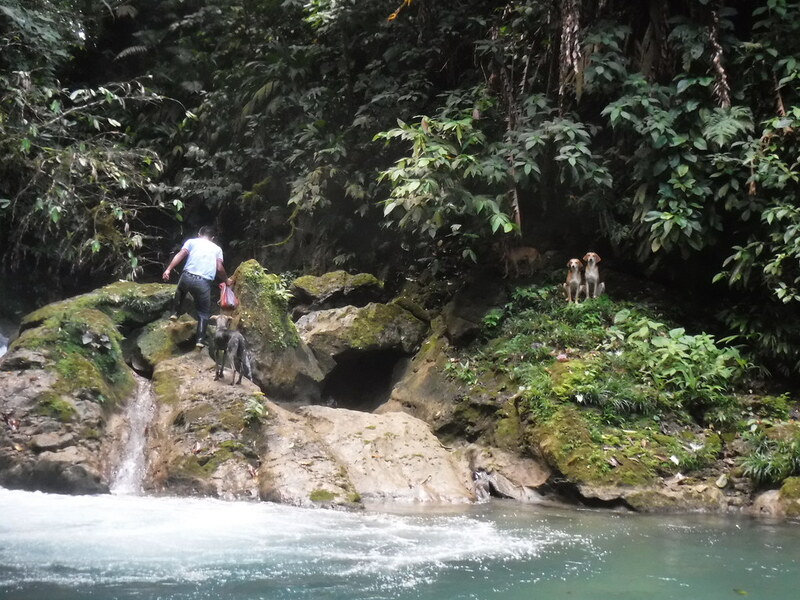 A few minutes before we left, I dove down to the bottom of the river. It was 22 feet deep according to my dive watch, and I had to swim with my eyes closed. I brought up a handful of mud to prove I had been there. Just as we were walking away, I saw several boys come up with handfuls of bottom mud. More evidence that boys are the same everywhere. Anyway, we all had a great time, despite having to change into long pants in the hot car. On the way back, we took some photos of the mountains in the distance, and stopped for ice cream in town. When we got home, we were presented with yet another load of laundry to do. Mom also hunted around for more interesting things to do and see. The next morning, Friday, I was awakened at the ungodly hour of 6:30. I was most unhappy, even if it was for a good reason. We were going hiking (again) at Tree Trek, an eco-lodge with cabins, zip lines, and canopy bridges. We ate a hurried breakfast, and drove over to the tour office in town. 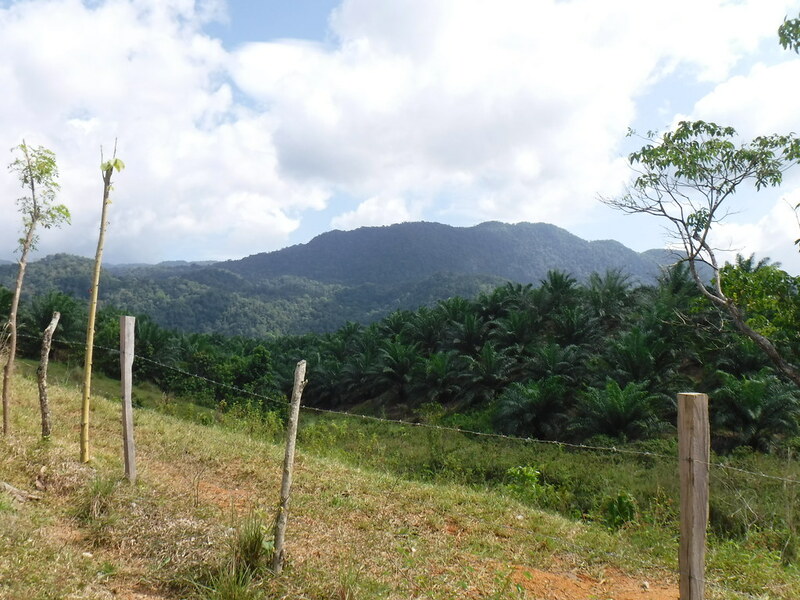 From there, we took the Tree Trek off-road truck up into the mountains above Boquete. The eco-lodge was much like Mt. Totumas, only more touristy. 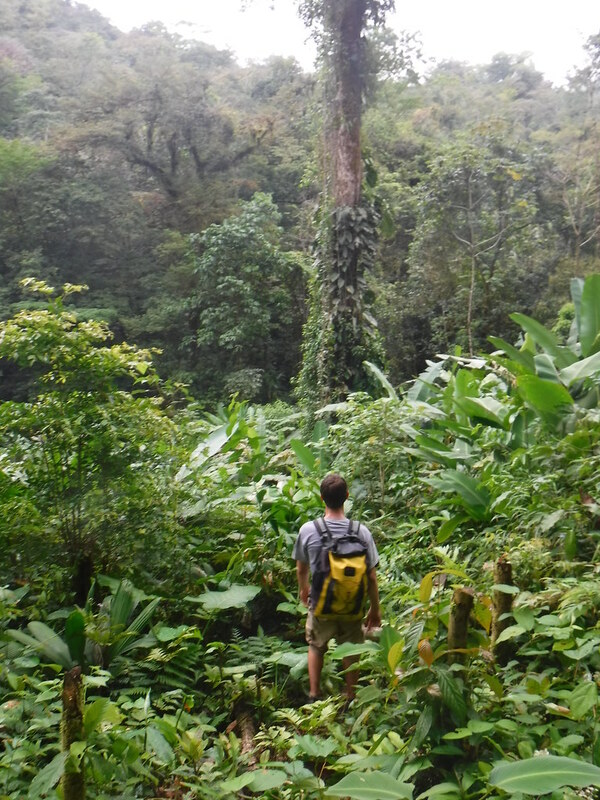 After disembarking, we were met by a Tree Trek guide who led us into the forest. It was about 8 A.M., so it was a bit chilly in those woods. No doubt due to a sleep-addled brain, I neglected to take along my fleece. This was a mistake. I was very cold in nothing but shorts and a t-shirt with a light windbreaker. 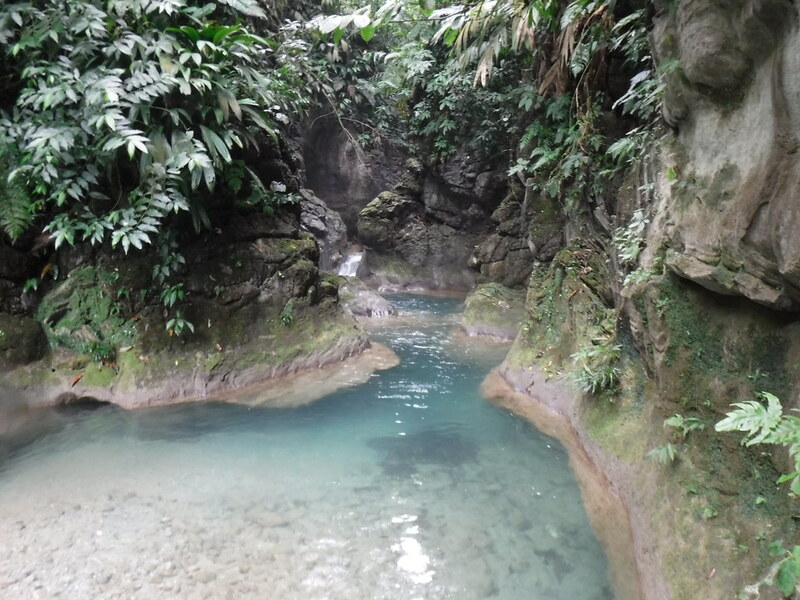 The hike was similar to the Cascadas trail at Mt. Totumas. The trees were larger, the trunks stained black by the damp. Sam caught several tiny frogs in the undergrowth, and our guide showed us a number of plants and flowers. 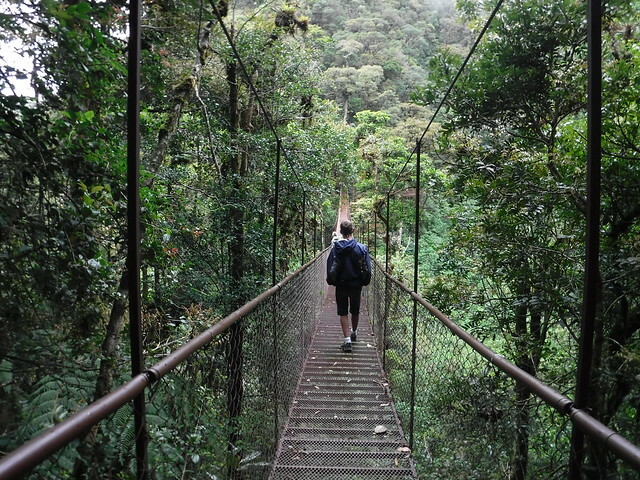 But what really made the trip worth-while were the canopy bridges. 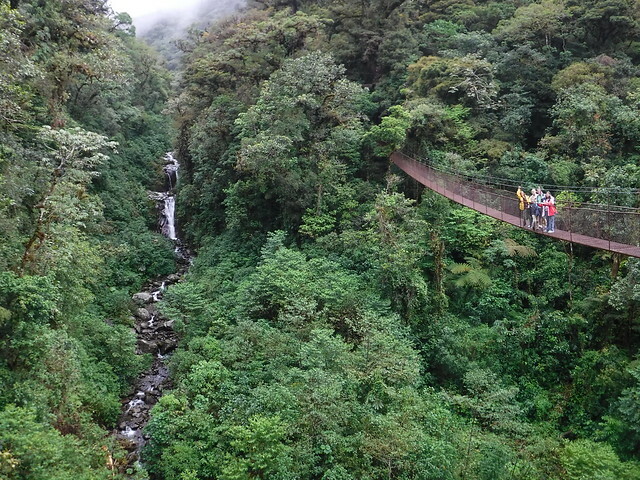 At various points along the trail, hundred-foot-long, steel-cable-and-plank bridges had been strung, spanning the gulf over a deep ravine or connecting the tops of trees. The floors of the bridges were transparent, so you could see, for example, the river running over 100 feet below. It was very cool. Spitting over the edge was my favorite part. 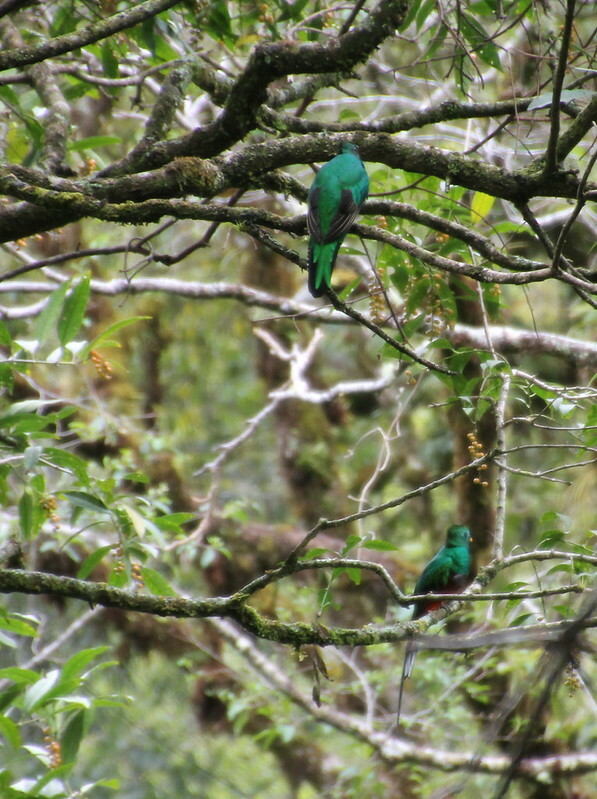 We also had the chance to glimpse the elusive quetzals. The Resplendent Quetzal is a tiny bird with bright green plumage, and a red breast. It is the national bird of Guatemala, but migrates to Panama for mating season in the spring. We were hiking along the last kilometer of the trail, when the guide pointed out one of them, perched on a branch. It was instantly recognizable as a male, because of the two ludicrously-long feathers extending from the bird’s tail. It soon saw us, and flew away, but not before we all saw it and attempted photographs. We later saw a pair. The trail, and the guide, dumped us off at the lodge, and with nothing to do until the truck came to get us, we went in. Mom ordered some mocha cappuccinos for us all, and we sat sipping until the truck showed up. We arrived back home at about noon, had lunch, and got ready to go out again. Aaron, Sam, and I had signed up for rock climbing that afternoon. Mom drove us back to the tour center, paid up, and took off. The two guides introduced themselves, and found us harnesses and climbing shoes. Not long after we had gotten all of our gear sorted out, a taxi pulled up. The five of us squeezed in, and off we went. 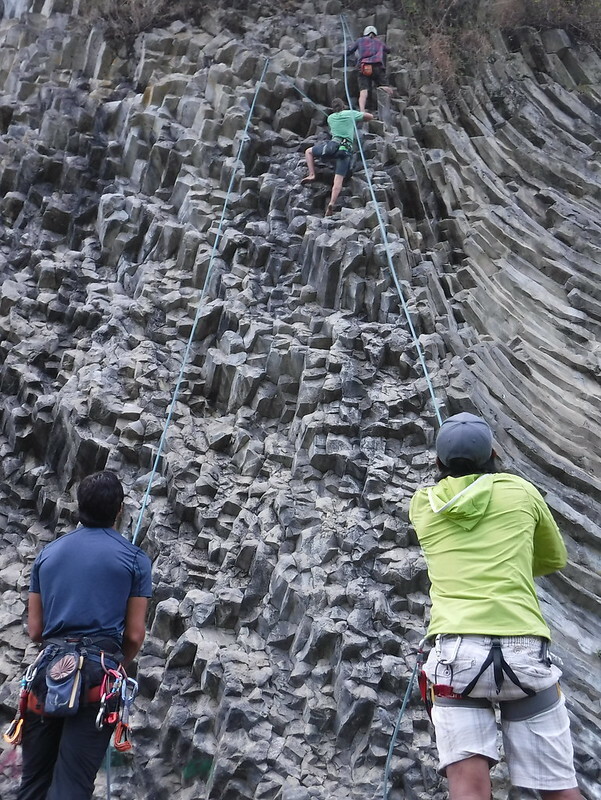 Our climbing destination was a basalt wall 60 feet high, just outside of town. It looked nothing like the Giant’s Causeway in Scotland that Mom had shown us when she googled “basalt rock formations,” but it was still pretty cool. It looked like a huge stack of gray French fries, covered with graffiti. Drilled into the rock at various heights were anchor points for belaying. We put on our gear, while our guide, Cesar, free-climbed up the wall to set up the belaying line. We spent three hours there, and had fun every minute. Despite my reputation for climbing stuff, this was my first time climbing actual, real rock, outdoors, and not concrete inside a climbing gym. It was a bit tougher than I expected, and by the end of the three hours, my grip was almost completely shot. Because there was only Cesar and his buddy, (hence only two belaying lines) only two of us could be climbing at any one time. This was just fine by us, because after making it to the top of the wall and back, you needed a break. When we weren’t actively climbing, we spent the time resting, taking photos, or talking to the guides. They were both professional climbers who had been climbing all around the world, but returned to Panama to start a business. In addition to climbing up, we also spent some time traversing the wall sideways, without touching the ground. Cesar was especially good at this. We had all done about six climbs each when the taxi pulled up. We packed up our stuff, the two guides coiled up the belaying lines, and we got in. Mom was waiting back at the tour center. After thanking the guides, we got in the car and went back to the house for some much-needed rest. 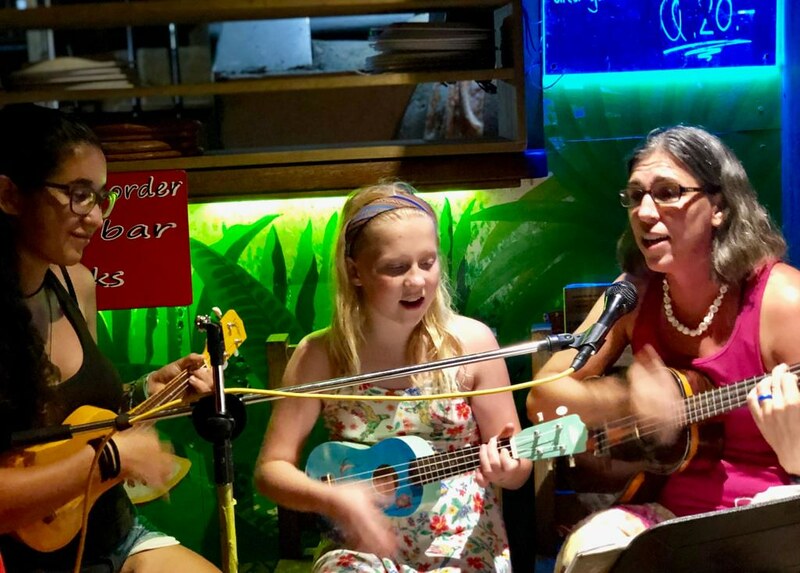 Mom had taken Rachel to Boquete Bees on a field trip while we were climbing, so there was also a sweet treat waiting. It rained all day the next day. Daunted by the miserable weather, we proceeded to do nothing of great importance on Saturday. 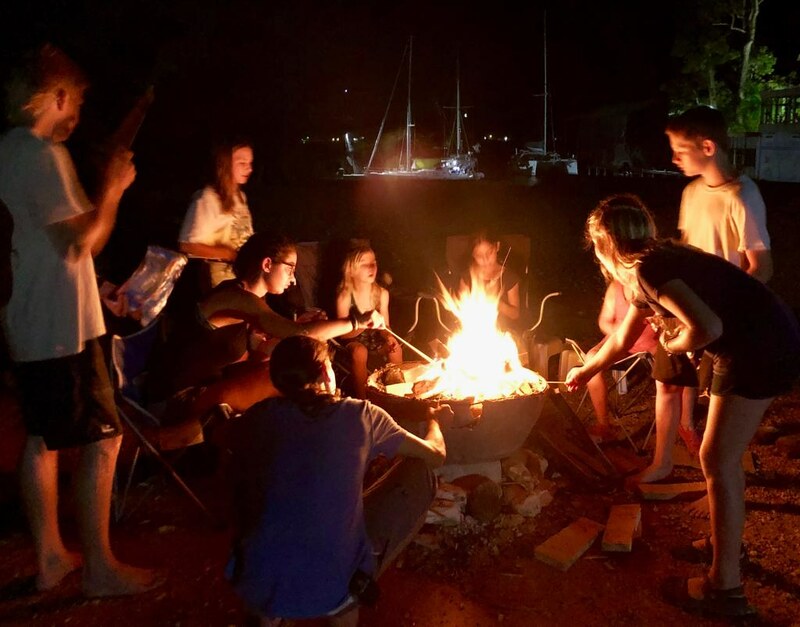 We lounged around, played games, and performed other unimpressive feats of imagination, like reading Clive Cussler novels that we found on a shelf. Mom and Dad went for a walk in the rain, but came back in time to make spaghetti, finish laundry, and start to pack up. We returned home on Sunday, exactly one week after we had left. We packed up our stuff, had breakfast, and waited for the taxi. Mom had returned the car the previous day, so there wasn’t much to do. The taxi arrived and half of us got in. The others had to wait for a second pass. Somehow, we all ended up at the bus stop. Like before, we handed off our junk to be packed on the roof of one of the buses, and sat down for the long ride. 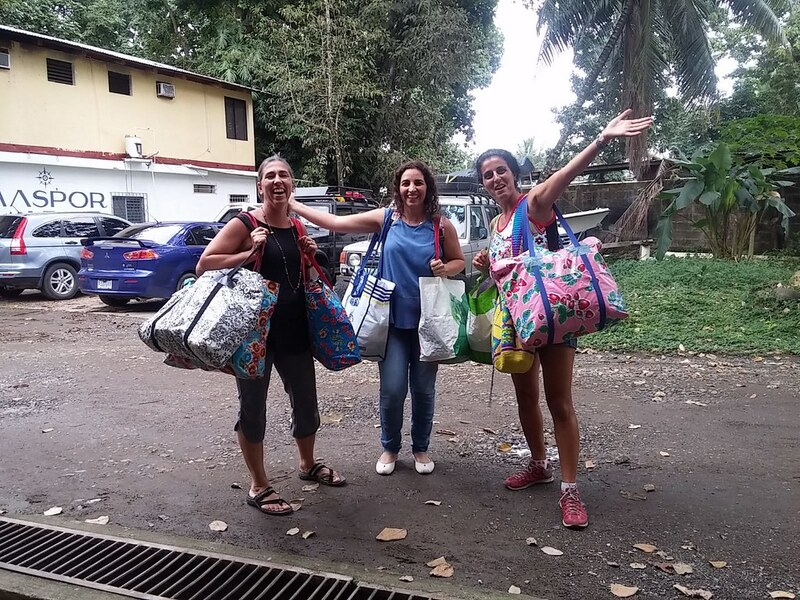 Four hours later, we pulled into Almirante, got out, claimed our luggage, and then it was into the water taxi bound for Bocas. In Bocas, we had lunch at a local restaurant, and enjoyed the change of climate for about 20 minutes before the heat got too oppressive. After lunch, we got in a water taxi for the last leg of our journey. Back at the boat, we turned on the AC, and started the arduous task of unpacking. 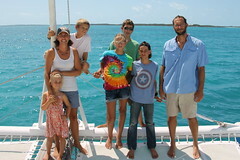 It had been a great week, crammed with new and fun experiences, but we were happy to be home.